Hello everyone, thought I'd share some bits about the processes I’ve been slowly refining over the last few months. As some of you may already be aware, my photographic 'heroes' are pictorialist photographers such as Julia Margaret Cameron, and pioneers such as Carleton Watkins. This has led me down the path of looking at all kinds of different processes - coating my own glass plates, chemical paper reversal, cross processing with very basic disposable cameras, and experimenting with DIY lenses and cameras. For today though, I'm going to waffle on about my experiments using silver-gelatin paper in large format cameras as an alternative to the usual sheet film, a technique which I have been hoping would give my work a flavour of the pictorialist aesthetic. 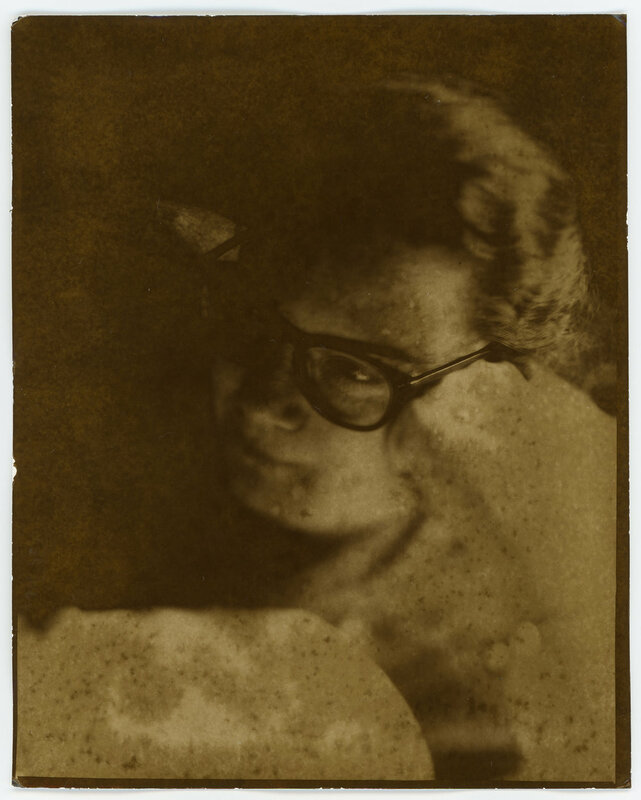 I began experimenting with a chemical reversal process for photographic paper earlier in the year which used relatively innocuous chemistry - regular old Thiourea based sepia toner. The process does take some time, but the result is a one-off (unique) sepia toned silver gelatin print. I have been working on this with a photo-buddy of mine Mr Jonny Sutton, and as we are unaware of a proper name for this process, though I’m sure someone must have thought of this before, we have been (jokingly) calling it the Cox-Sutton Papyrotype when we've been introducing it to some of our students. The method we've worked out may seem somewhat counterintuitive if you already have some experience using sepia toners, but basically it involves toning the silver halides after development, then bleaching away any metallic silver created by the developer before fixing. Resin coated paper reversed with sepia toner. This process is very exciting, but I found the paper had very little latitude - it's a bit too contrasty for my tastes, and the amount of overexposure needed seemed to change depending on the amount of UV light around. Fibre based paper also seems to look mottled with this process, which I think is to do with the higher silver content. Fibre based paper reversed with sepia toner – note the ‘mottled’ effect. So - back to the drawing board, I decided to look into how to reduce contrast in paper negatives made with variable contrast material which is the most readily available paper around these days. 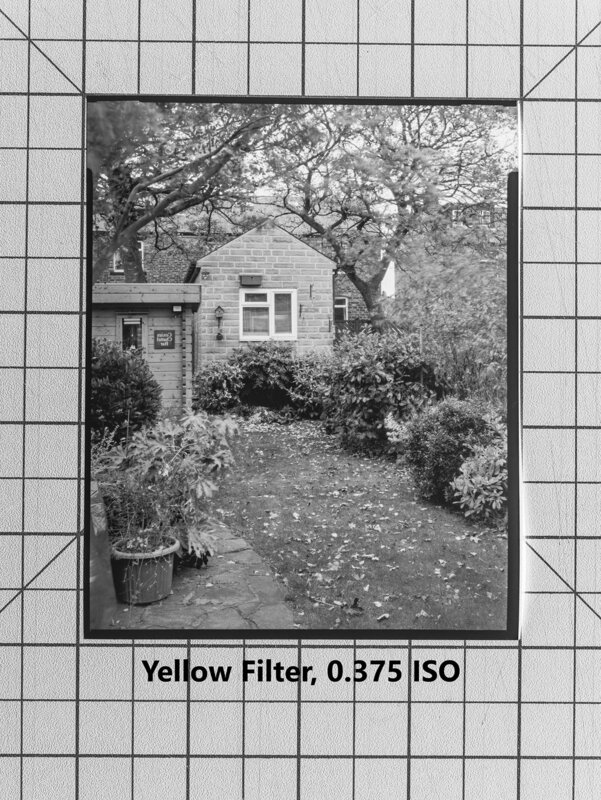 Thinking along the lines of darkroom printing, where a magenta filter is used to increase contrast in a print, and yellow filters are used to reduce contrast, I decided to give it a go with a regular yellow Y2 / K2 filter on the lens of my camera. I also decided to develop them in approximately half-strength paper developer (Ilford Multigrade 1+19) which should be less aggressive with the highlights than full strength. I have tried Rodinal in the past, but I had difficulty finding a developing time, dilution and temperature which both developed the negative and didn't stain the paper, and it doesn’t last all that long in a tray. As I understand it (please correct me if I am wrong!) variable contrast paper has two layers, one which is sensitive to blue and UV giving higher contrast, and another more sensitive to green light which is lower in contrast. Adding the yellow filter should reduce the exposure of the blue / UV layer, and as a result decrease the contrast. ISO Tests in negative and digitally inverted. I shot an ISO test, starting at 12 ISO and increasing the exposure by a stop each time until I ended up at 0.375 ISO. I shot one set with the yellow filter, and one without, then developed them by inspection in the darkroom to determine my developing time. I found that on an overcast day, 0.375 ISO with the yellow filter developed for 2 and a half minutes gave me the best tonal range - a good amount of shadow detail without sacrificing density. 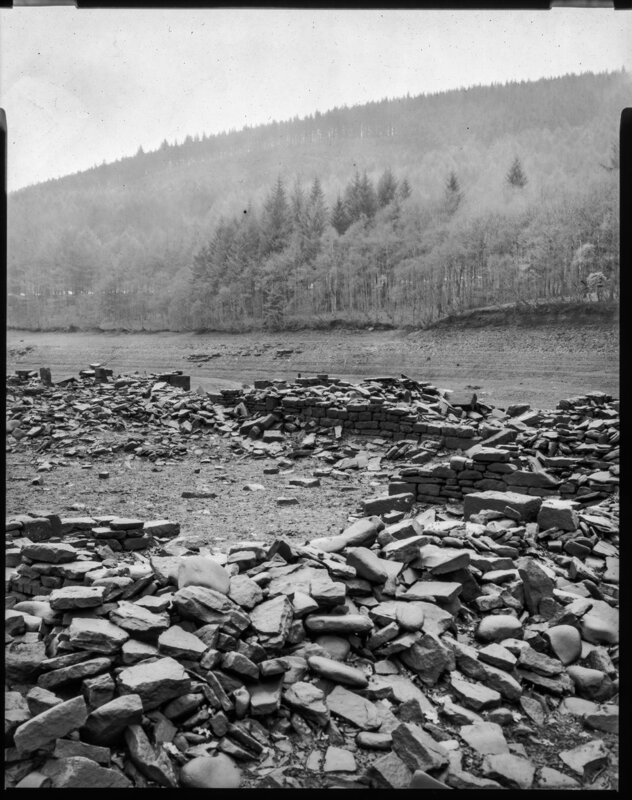 Overexposing the negative and pulling it in development without a yellow filter gave results which may well be good enough for scanning at around 0.75 ISO, but probably wouldn’t be dense enough to make a good contact print the old fashioned way. An easy way to meter for ISO 0.375 is to set your meter for ISO 3 then multiply the given exposure time by 8. If your meter doesn’t read low enough, you can always take a reading at ISO 6 and multiply by 16 for example. I have yet to test it on a sunny day, but I believe it may change the ISO rating as there would be more UV around, depending how much the yellow filter lets through. Closeups of the best results with and without the filter. Exposing and developing the paper in this way still gives me the 'antiquarian' look - the paper gives a certain softness and texture to the photograph, and most early processes were also only blue / UV sensitive – but it also gives me a reasonable tonal range which you don't normally achieve with multigrade paper. It does however mean exposures can be very long, some examples in this article needed an 8 minute exposure at f/32, end even at f/5.6 you may be looking at an exposure of 30 seconds to 1 minute on a cloudy day. Maybe I need to invest in a Victorian style neck-brace for my portrait sitters! Thankfully, photographic paper doesn’t seem to suffer the same failure of reciprocity as film – I’m guessing it must have been designed to cope with long exposures pretty well as this is more common in printing. 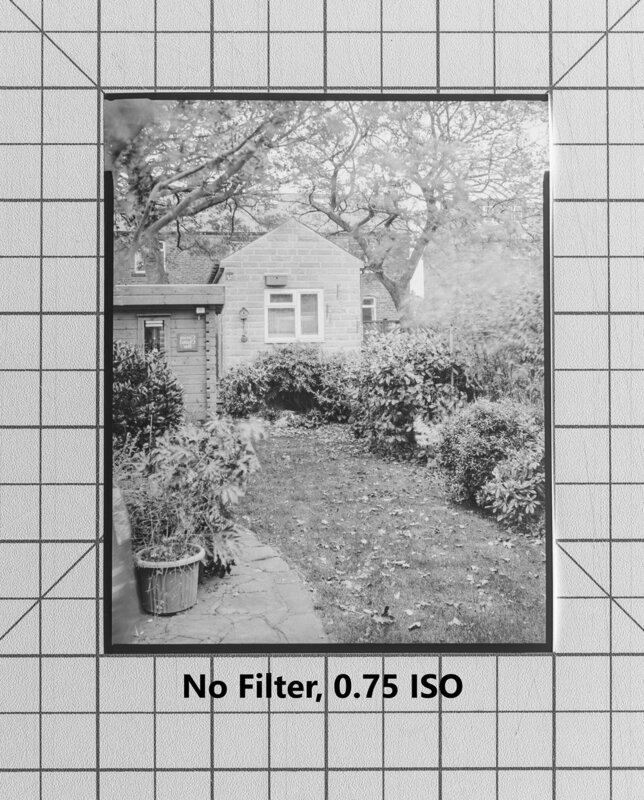 Scanned paper negative – this was an 8 minute exposure at f/32 with a yellow filter. 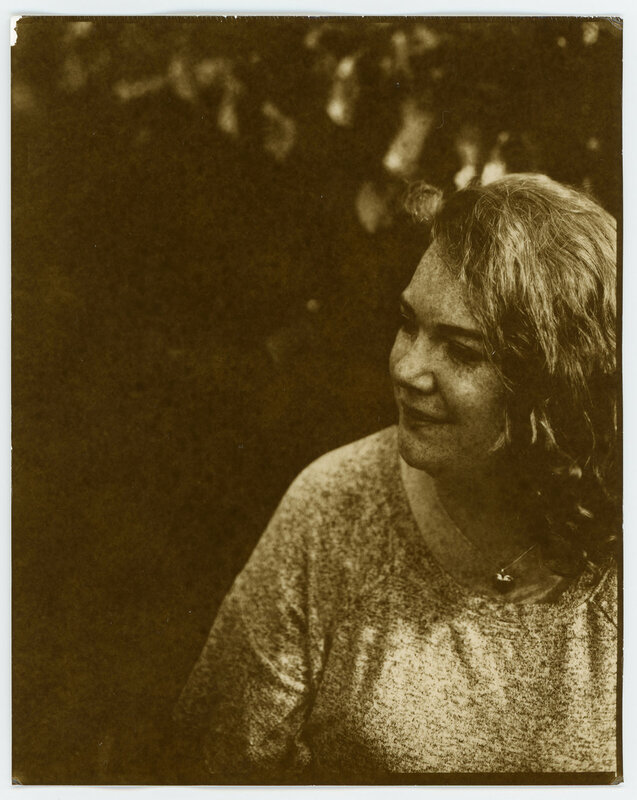 Another interesting observation I have made is that you can make a remarkably sharp scan of a paper negative, whereas the traditional contact print method gives you a much softer, more painterly aesthetic. I don’t think there is a clear winner here – I like the softness and tonality of the contact prints, but those used to sharper photographs may cringe at the thought of carrying a large format camera to make such a soft photograph. Scanned contact print from 5x4 paper negative – nice and soft! Scanned straight from the same negative – nice and sharp! As for the reversal, I am hoping to test it out again soon with my new method for exposing paper - the experiments continue :) In the meantime I'm planning on starting a new body of work using the processes I’ve figured out with my 5x4 and 10x8 cameras in the coming months. 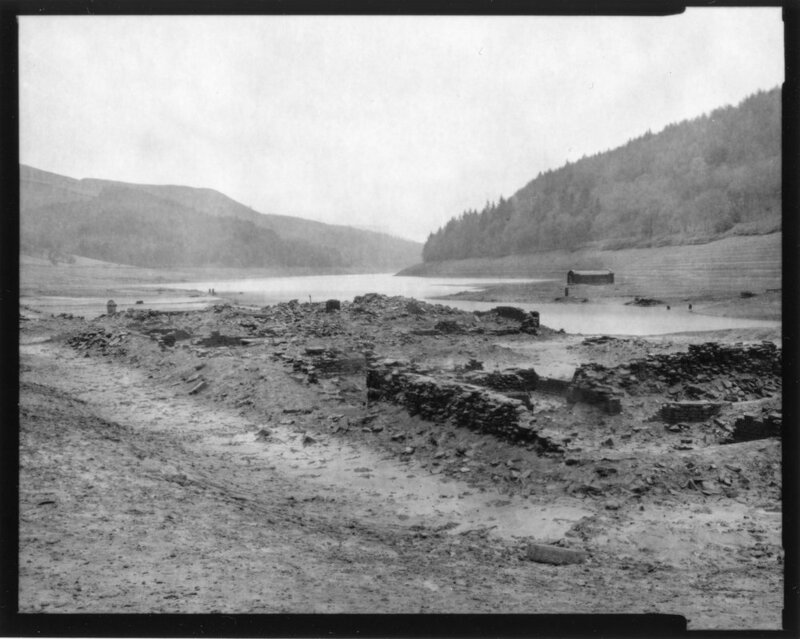 I may also make some more dry plates for this project but perhaps this is a topic for another time! Keep your eyes peeled at the following places for further updates, and don’t hesitate to get in touch if you would like to discuss this stuff in finer detail. Prints and zines are available from my website.